Skin infections in athletes, including community-associated methicillin-resistant Staphylococcus aureus (CA-MRSA), are extremely common. A new position statement by the National Athletic Trainers' Association offers advice on preventing, recognizing and treating skin infections in athletics. 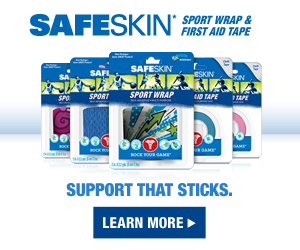 The primary way parents can help prevent the spread of skin infections is to be proactive in trying to ensure that sports programs, sports camps, and school athletic departments have implemented the steps recommended by the NATA and other organizations (the Centers for Disease Control, state health departments etc.) to limit the spread of skin infections. Is the program providing the fiscal and human resources necessary to maintain infection control? Has custodial staff been increased to provide the enhanced vigilance required for a comprehensive infection-control plan? Are adequate hygiene materials provided for athletes, including antimicrobial liquid (not bar) soap in the shower and by all sinks? Has the organization contracted with a team dermatologist to assist with diagnosis, treatment, and implementation of infection control? Has a culture of institutional safety shared by administrators, staff and athletes been created in which standard precautions and preventative measures are the norm? Hospital-based studies have shown a direct relationship between high levels of "safety culture" and adherence to safe practices. Is a clean environment being maintained in the athletic training facility, locker rooms, and all athletic venues? Are frequently touched surfaces (wrestling mats, treatment tables, locker room benches, and floors) being cleaned and disinfected under a detailed, documented cleaning schedule? "Maintaining a properly cleaned and disinfected facility requires a team approach, including contributions from ATs, athletic administration, coaches, athletes, and custodial staff," says the NATA. For an example of a cleaning schedule for a NCAA Division I wrestling program, go to the Position Statement Table 4. Is the type of disinfectant or detergent selected for routine cleaning registered with the Environmental Protection Agency, and the manufacturer's recommendation for amount, dilution and contact being followed? Note: some experts recommend using a 1:10 ratio of household bleach to tap water for routine environmental disinfection. Are athletes being encouraged to follow good overall hygiene practices? "Hand hygiene is the single most important practice in reducing the transmission of infectious [diseases]," says the NATA. If hands are not visibly dirty, are athletes using an alcohol-based hand rub to decontaminate their hands? "Trivial as it may seem, properly decontaminating the hands is of utmost importance," says the NATA. Are athletes showering immediately after every practice and game with an antimicrobial soap and water over the entire body? Are athletes asked to refrain from cosmetic body shaving (i.e., shaving a body area other than the face or legs)? Cosmetic body shaving has been shown to increase the risk of CA-MRSA more than 6-fold. Are soiled clothing, including practice gear (e.g. wrestling head gear), undergarments, outerwear, and uniforms laundered and disinfected (1:10 bleach solution) on a daily basis? Is equipment, including knee sleeves and braces, ankle braces, etc. being disinfected in the manufacturer's recommended manner on a daily basis? Are athletes discouraged from sharing towels, athletic gear, water bottles, disposable razors, and hair clippers? Are athletes with open wounds, scrapes, or scratches banned from whirlpools and common tubs? Are athletes encouraged to report all abrasions, cuts, and skin lesions to and seek attention from an athletic trainer (or, if none is present, from another health care provider) for proper cleansing, treatment and dressing? Are all acute, uninfected wounds (e.g. abrasions, blisters, lacerations) covered with film, foam, hydrogel or hydrocolloid dressing until healing is compete to prevent contamination from infected lesions, items, or surfaces? The NATA Position Statement says that "[e]ducation about infectious-disease transmission and the recommended practices to minimize it should be an essential component of any infectious-disease-prevention program." administrators have been informed of the importance of institutional support to maintaining proper infection-control policies? coaches have been informed of the importance of being vigilent with their athletes about following infection-control policies to minimize the risk of transmission? Athletes have been educated about their role in minimizing the spread of infectious diseases (e.g. following good hygiene practices, having all practice and game gear laundered daily, avoiding sharing of towels, athletic gear, water bottle, disposable razors, and hair clippers, and performed daily surveillance and reported all abrasions, cuts, and skin lesions to and seek attention from the athletic trainining staff for proper cleansing, treatment, and wound dressing). the custodial staff has been included in the educational programs to be able to adequately help in daily disinfection of facilities. CA-MRSA is reported to be the most frequent cause of skin infections seen in emergency rooms across the country. In one hospital in Texas, the number of CA-MRSA cases increased from 9 in 1999 to 459 in 2003. The risk factors for CA-MRSA are not well defined, and it is not uncommon for patients with no identifiable risk factors to become infected. An alarming increase in the presence of MRSA nasal colonization has been noted in both healthy children and adults. Transmission of CA-MRSA is quite easy in close-contact settings, such as locker rooms and athletic fields. Initially, CA-MRSA infections present similarly to other bacterial infections, appearing most frequently as carbuncles and abcesses. The lesions may begin as small pustules that look like pimples and develop into larger pustules or abcesses or purulent (e.g. infected) skin lesions. The CA_MRSA lesions have been confused with spider bites. An athlete with a suspected MRSA infection must be immediately isolated from other team members and referred to a knowledgeable physician. Research data has not yet established optimal treatment regimens, but several antimicrobial therapies have been proposed. Because of the prevalence and virulent nature of CA-MRSA, any suspicious lesions should be cultured and tested before the athlete returns to participation in sports. In general, after a bacterial infection, return to play should not be allowed until the athlete has completed a 72-hour course of directed antibiotic therapy, has no further drainage or pus from the wound, nad has developed no new lesions for at least 48 hours. Because of the communicable nature of bacterial infections, active lesions cannot be covered to allow participation. Source: National Athletic Trainers' Association Position Statement: Skin Diseases, Journal of Athletic Training 2010; 45(4): 411-428.